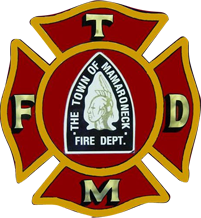 Welcome to the Official Website of the Town of Mamaroneck Fire Department. For over 100 years, the Town of Mamaroneck Fire Department, has been committed to preventing and minimizing the loss of life and property, through their delivery of the highest quality, effective, and efficient emergency fire and rescue services to the residents and businesses located in the Town of Mamaroneck. You can get live up to the minute updates with the Town of Mamaroneck Fire Department’s weather station, click here. An important message from Con Edison. As we begin daylight savings time tomorrow, don’t forget to change the batteries in your smoke and carbon monoxide detectors. Our very own, TMFD Ex-Captain Bob Blaufarb, wrote an article about health and wellness and was recently published in Firehouse Magazine. The Town of Mamaroneck Fire Department FAST Team, along with the Village of Mamaroneck and Larchmont Fire Department's responded to a struture fire in Port Chester, early this morning. This is a great way to get informed of potential hazards and/or emergencies in the Town of Mamaroneck, NY. Due to the predicted drop in temperature, expect hazardous conditions this afternoon and evening as water on roads and sidewalks freezes. If you must go out, use extreme caution. Town of Mamaroneck Fire Department is with Jason Vacchio.